Oh, no! Bare Bones currently doesn't have any offers on Vegan Cuts. However, check out our monthly boxes for vegan items delivered right to your door! When founder Monica was younger, her skin started to react to the mainstream skin care brands and she was forced to switch to the "all natural" options available. She quickly discovered that an "all natural" label could be misleading. 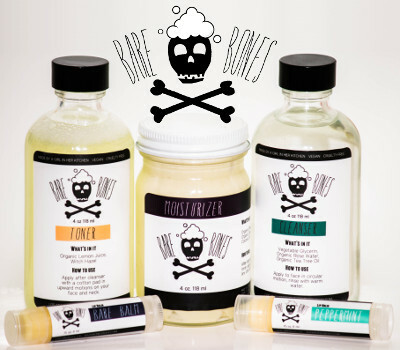 Bare Bones is about using only ingredients that will make your skin the happiest skin in all the land. Some elements are made from scratch, and others are sourced from organic and or local suppliers. All products are vegan and not tested on animals. No dirty secrets or skeletons in their closet, just the good stuff. Follow Bare Bones and get notified when they add new offers to Vegan Cuts.